When the Cubs lost fill-in closer Pedro Strop to a hamstring injury (… while batting/running the bases), the Cubs were dealt a fairly deadly blow. The bullpen, pitching without their Opening Day closer, is/was already worn down and then they lost their most dependable, remaining arm. But because life is often balanced (in a not-so-funny, funny kind of way), we quickly learned that Brandon Morrow could be returning soon, depending on the strength and quality of his second bullpen session (earlier this week) and simulated game (earlier today). Well, I’m here today to remind you that his bullpen session earlier in the week went well, and to tell you that his simulated game did too! Morrow's sim game went well. He threw 19 pitches and simulated how he would prepare for a normal game day as much as possible. Assuming he's all good tomorrow, he'll be activated in the next few days and could be ready as early as games in Arizona. We’ll save a more significant celebration party for when he’s actually activated. As for the importance of Morrow’s return, I really don’t think it can be understated. 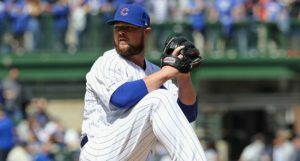 Before the loss of Pedro Strop, the Cubs needed Morrow back if they had any hope of making it far in October. Now that Strop is gone, they might just need Morrow back to get to October (at least as the divisional champs). So, yes, it’s about as big as it can be. At the same time, I think we all need to remember to be patient. Morrow hasn’t thrown a competitive pitch since the All-Star break and won’t be completely off the leash right away. In fact, there were early suggestions that he 1. might not pitch on back-to-back days and 2. might have some scripted outings to start things off – but we’ll see if that’s still the case. And of course, whether or not he’ll return immediately to the closer’s role is even more up in the air. Joe Maddon said Morrow will *not* make his return as the closer, apparently because Maddon isn’t sure how effective he’ll be: “The hitters will tell us.” Okay. So brace yourselves for some shaky first outings, I guess. But again, when he does finally return, even if he’s at 70-80% full effectiveness, the Cubs can still use Morrow. And there’s always a chance he strengthens up as the season concludes and looks much more like his usual, dominant self come October. So today was a very good news day. 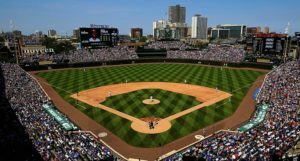 And as a relative notable P.S., I’ll add that the Cubs may also be getting Kyle Schwarber and Jason Heyward back during the Diamondbacks series, as well. 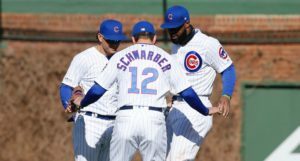 Sounds like things are lining up for the Cubs to get Morrow, Schwarber, and Heyward back during the Arizona series.